One of the more beautiful times of year is winter and learning how to take snow pictures can often be a bigger challenge than you think. For me the two biggest challenges for capturing winter scenes are white balance and simply not being near a landscape worthy of shooting. When it comes to winter photography there is a lot more to consider than any other season of the year. The snow being white, or almost white, confuses automatic cameras so much that what you think is white turns out grey or washed out. So what camera settings for snow landscapes are ideal? The biggest issue again is white balance. Your camera is not well prepared for scenes that are so white. They tend to compensate in such a way as to dull or make grey the white in your photo. 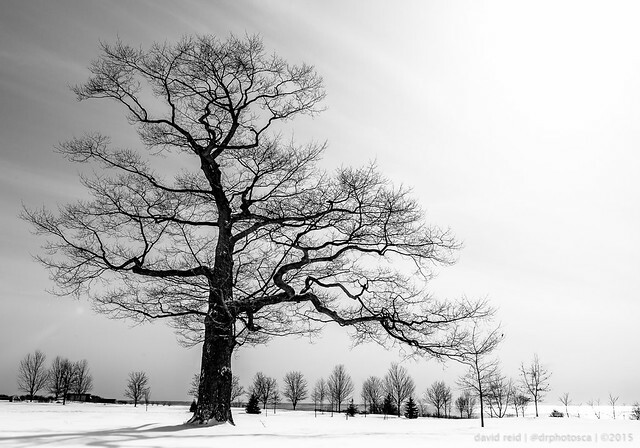 The best camera to use for snow photography is one that allows for full manual control, including white balance. I don’t know about you but I don’t live in the country with rolling hills and beautiful winter landscapes. Living in the city or urban areas you’re often challenged with coming up with good snow photography ideas. So what do you do? Not long ago I took on a 365 photo challenge project that really changed things for me. Although some don’t agree with the pressure of taking a photo a day I tend to think it’s the best way to improve your photography skills. One of the things it gave me was the drive to take pictures every day and by doing so every season. When thinking of snow photographer you are limited to when you can do it. You can only do it during the winter when most of us want to stay indoors. So a 365 photo project is a great way to motivate you to get out when it’s cold. The other key thing that challenge gave me was a new ability to see the world differently and really see that a beautiful photo can come from almost anywhere. For a real challenge in the winter try some model photography to create some stunning imags. So when you’re trying to find a way to take a snow scene picture you can see the world around you rather than the world you wished you were in. The first tip is some motherhood stuff. Let’s face it the winter is cold and if you’re not prepared to shoot in cold windy weather you’re not going to take good photos. Dress appropriately, boots, gloves, hat and if you can a thermos to stay warm. Some winter photo shoots cantake a few hours from getting to the spot taking pictures and then heading back. So dress for it! The next tips is do the opposite for your camera, well except your spare batteries. Keeping your camera at the same temperature as the outdoors will help to reduce fogging and moisture. Now the batteries operate better when warm so if you can keep the spare ones under your jacket. Make sure you take only gear you’ll need and keep it close at hand. Think of how you’ll use things i your bag and back accordingly. THings you’ll use a lot keep them near the top or in a spot easy to access. Shoot in RAW, was that even an option? You should always shoot RAW if you plan on doing any editing. It’s a given today. Exposure, slightly over exposes and try a few ways to capture the right white balance. Check out the histogram everytime you change locations to make sure your snow scene photos aren’t blown out. Some suggest using flash as your white balance. Again, if you’re shooting in RAW it’s less of an issue but does help when you’re checking the photos of your winter landscape on the back LCD screen. The winter is more than snow so shoot what’s around you and capture a range of winter snow scenes including that last green leaf hanging on to a branch. What are you go to ideas for winter snow scenes?